2013 was a great year. I skied a lot and I traveled quite a bit. I had the great fortune to visit some great places like The Palouse, Northwest New Mexico, my family cabin in Wisconsin, Maine, and Morocco. We hosted family from India and showed them Washington D.C., Vermont, New Hampshire and the area closer to home, too. I had such amazing experiences this year that I had a hard time narrowing down my favorites to just 13 images. Without further ado, here’s what I liked the most from 2013. 1. Silent Echo, Acadia National Park, Maine. It rained most of the weekend so our hopes of grand landscapes and colorful sunrises were dashed. To blow the time during a cold and torrential downpour, we even escaped to the only movie theater in Bar Harbor to see Star Trek Into Darkness. What to shoot in the rain? 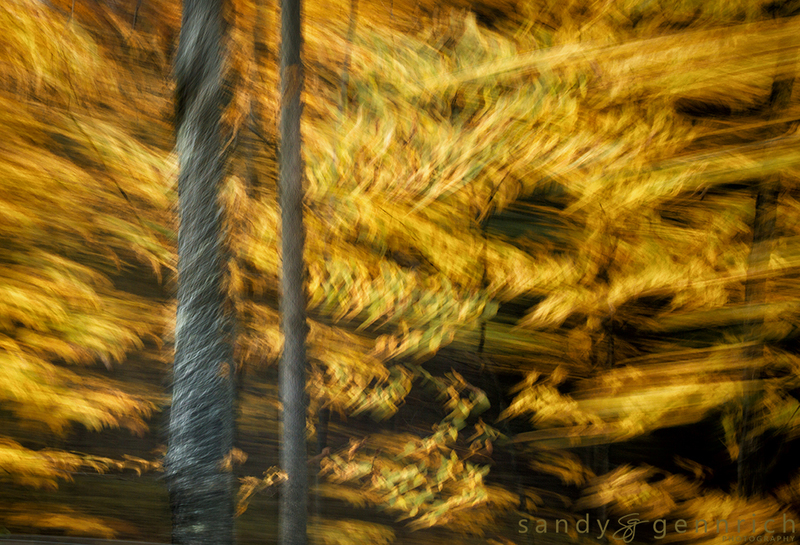 As I walked through the woods near the Nature Center, I was reminded of my friend Roger Busch’s image here. 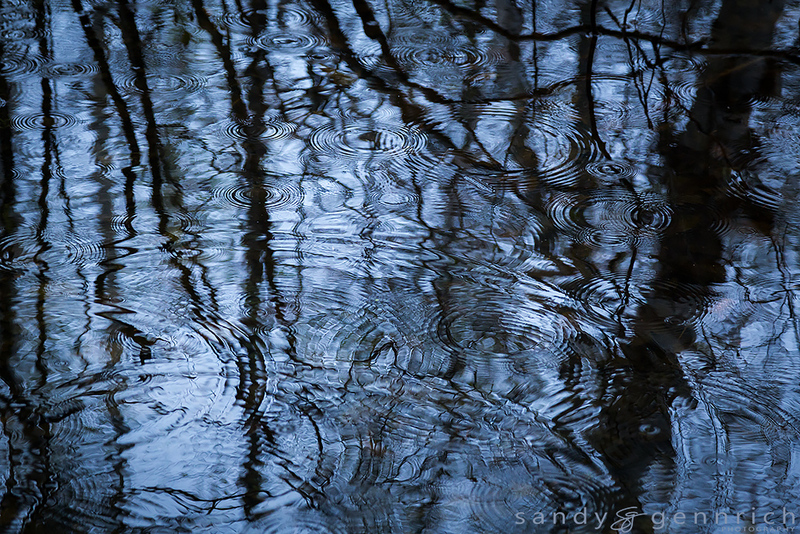 I set out to make my raindrops-in-water picture. 2. Chaos Theory. This was taken out of the car window near White River Junction in Vermont. We spent a few days in Vermont and New Hampshire during the fabulous fall colors we get here in the Northeast. We were probably a week too early for peak color, but there were patches that were spectacular. What I like about this picture is that it isn’t the normal “panning out the window” shot. Somehow there is more motion than is usual. I don’t know if the leaves were blowing in the wind or if we hit a pothole as I clicked the shutter, but it doesn’t really matter. 3. 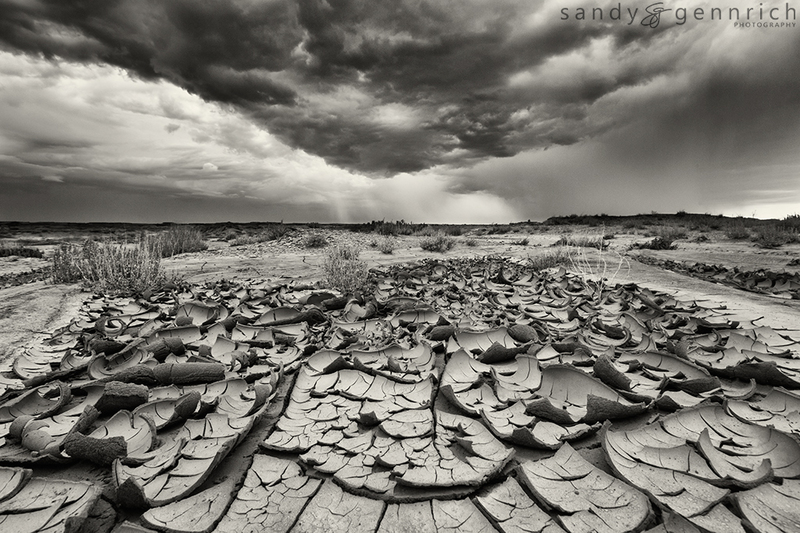 Monsoon Season, Bisti Badlands, New Mexico. 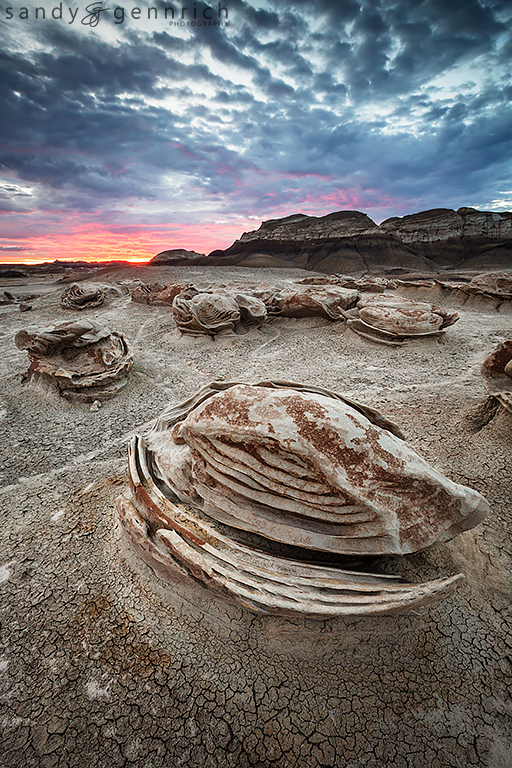 For several years we’ve wanted to go to Bisti Badlands in Northwest New Mexico. I had seen pictures of the area and had heard the “monsoon season” was the time to go. I had no idea we had monsoons in North America, but after a bit of research, I confirmed that we actually do have one. In this area in July and August, days are warm and clear. In the afternoon though, clouds build up and storms pop up all around. This day we planned to hike 2 miles into the wilderness. The storms were encircling us in the parking lot and we didn’t venture more than 50 feet as lightning blazed on all horizons. 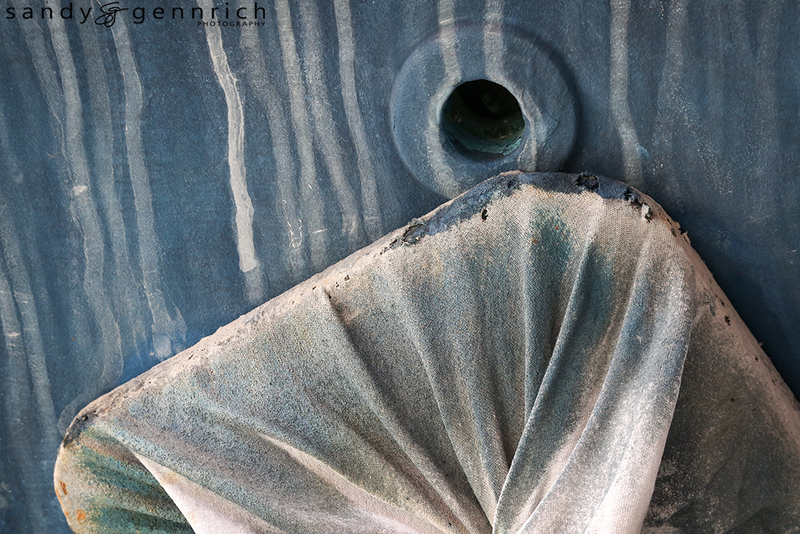 I was intrigued by the cracked mud and worked on several compositions to find something I liked. I’m glad we stayed here long enough to get this shot. The next day, after some torrential rain, these dried mud sculptures were all washed out. 4. Dye Pits, Fes, Morocco. 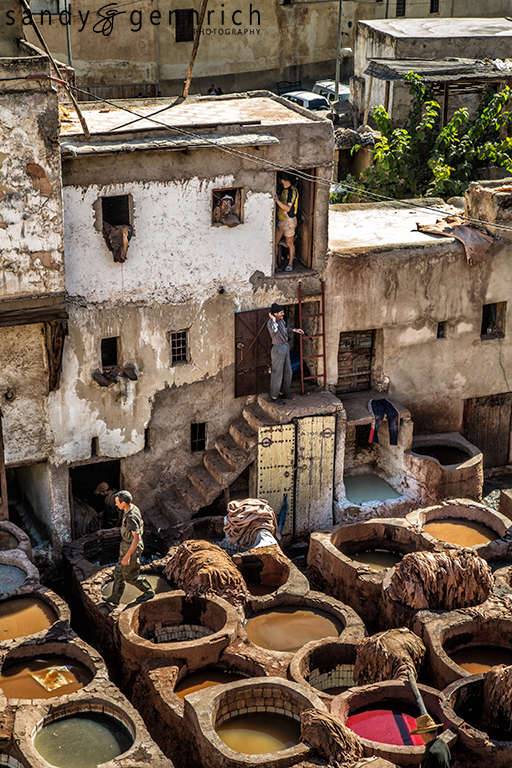 Sure, this is a pretty standard picture of the tannery in Fes. But what I like about it is how much activity is going on. It makes me think of a Where’s Waldo book. There’s action and color, and the workers are completely unfazed that hundreds of photographers come through on a daily basis. And bonus for us, it didn’t stink too badly the day we were there. 5. 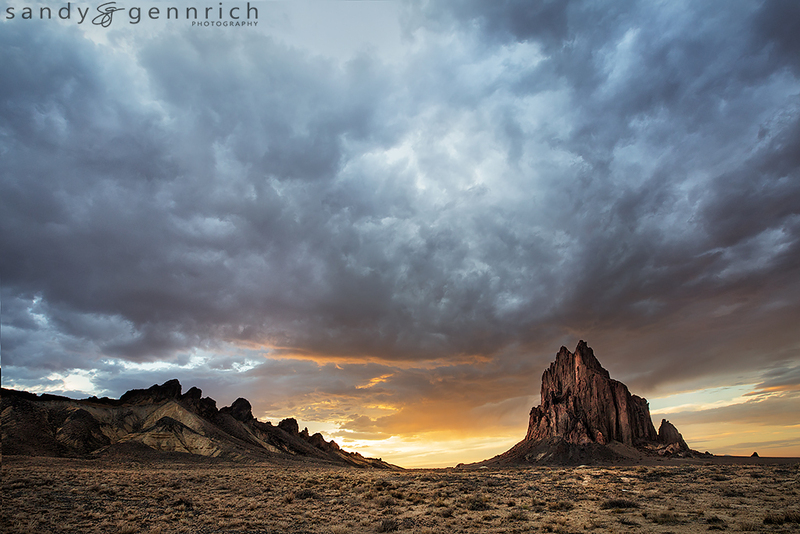 Out of the Earth, Shiprock, New Mexico. This was a freakin’ amazing sunset. After what felt like years of being skunked on good sunsets, this trip completely delivered. We scouted the area earlier in the day in full cloudless wonder of blue skies. When this storm developed I had high hopes which seemed to be immediately dashed when it looked like the clouds would cover the horizon and any chance of a sunset. Sometimes the landscape Gods do smile. 6. Untitled. There’s a public boat yard in Norwalk, CT that’s my go-to location when I’m in need of some winter inspiration. Hundreds of boats pulled out for the winter in various states of disrepair, just sitting out on stanchions waiting for me to discover them. Usually, the stanchions are uncovered. Here I was drawn to the water stains on the hull and how those drips seemed to be mirrored in the fold of the fabric. The color palette was a plus, too. 7. 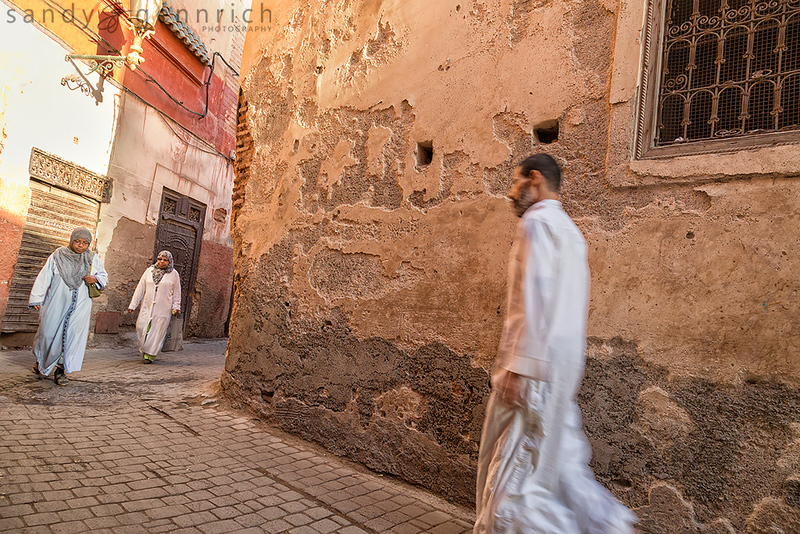 Alleyways, Marrakech, Morocco. Taking people pictures in Morocco was really difficult. I ended up shooting from the hip a lot, and sometimes I liked what I caught. For me, this picture captures everyday life. A few people walking home, or heading off to the market, at the end of the day. My mind races making up stories for these three people. 8. Sea Turtle, Bisti Badlands, New Mexico. Yup, you can call me crazy. I travel to see rocks. These are the formations we wanted to see when we got stuck in the parking lot for image #3 above. Instead of hiking out for sunset, we got up early and hiked into the darkness led only by our trusty GPS and headlamps. The 2 mile hike in the dark felt like it was forever. The rain the previous night left the earth a muddy mess. I was at least two inches taller with all the mud that accumulated on my shoes as we worked our way around the hoodoos to find the Egg Factory. When we arrived here it was barely twilight. This was an amazing experience to be here as the sun broke the horizon, alone in the wilds of New Mexico. 9. 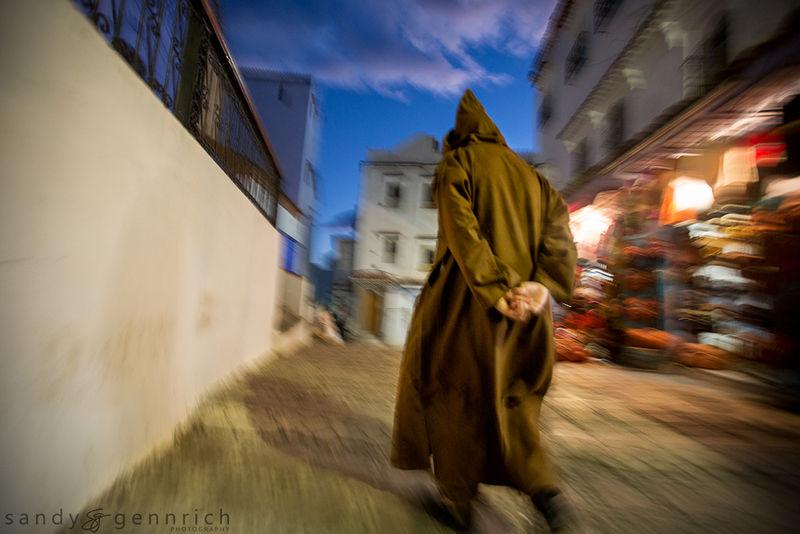 Evening Stroll, Chefchaouen, Morocco. The overcoat worn by Moroccans is called a djellaba, and what makes it uniquely Moroccan (and not just Middle Eastern) is the pointy hat. Shamik and I split up for a bit this evening because we were finding interesting people and following them through the market. We looked like crazy stalkers — and we were. What I like about this one is that it’s a nice mix of natural light and street light. The amount of blur is just right — you know this is a person on the move. That, and it’s totally identifiable as being in Morocco. 10. 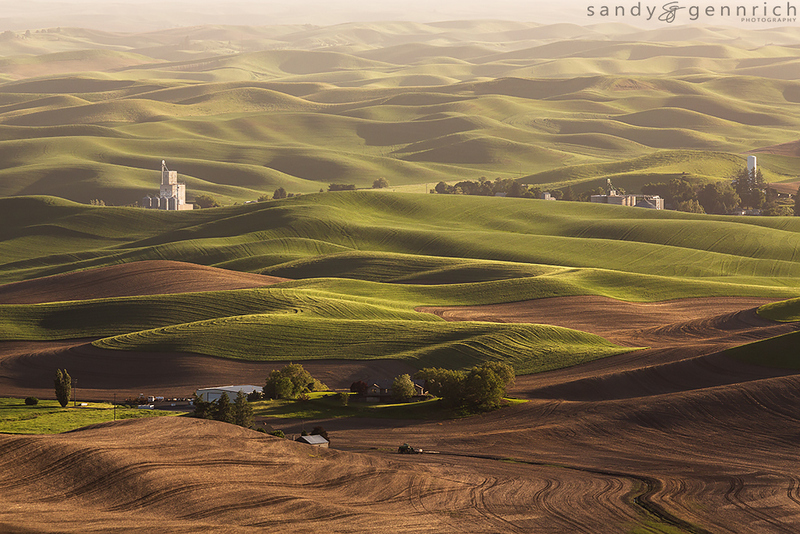 Whitman County Growers, The Palouse, Washington. I was disappointed by the hazy conditions when we arrived here. After shooting a sunrise and a sunset in clear conditions over the next few days, I realized that this was a more interesting picture. The view from Steptoe Butte is incredible. I’d love to come back here at different times of the year. I bet a fresh snow is interesting, too. 11. Irrigation, Farmington, New Mexico. We stopped along the road to try to capture lightning. I was rather unsuccessful at that endeavor. Then I started taking pictures of the wheat whipping around in the wind. I didn’t see this picture until I took a quick snap on my iPhone. 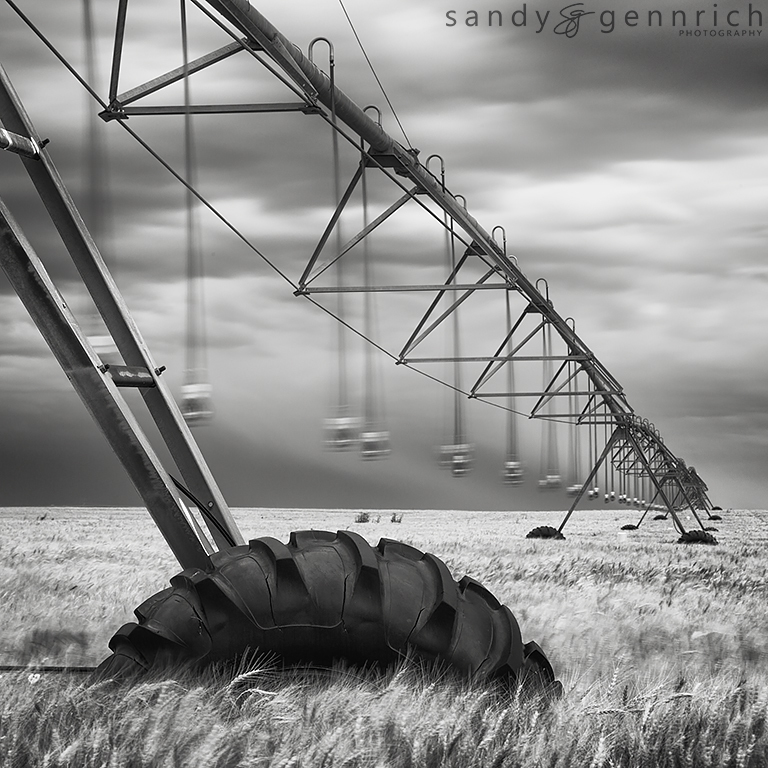 On the phone, I saw this composition and moved in closer to the irrigation unit with my big-girl camera and tripod and worked on getting the right mix of motion in the sprinkler heads and the wheat. 12. A Long Day’s Work, Marrakech, Morocco. 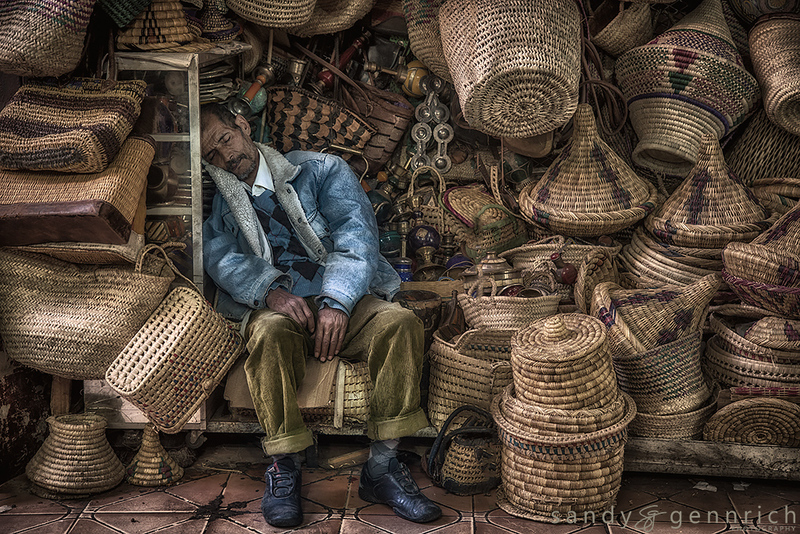 In the middle of the hubbub and the hustle and bustle of the market, this man catches a quick nap. Or perhaps, a not so quick nap. I know the feeling. I often feel like this during long meetings at work. 13. Berber Camp, Merzouga, Morocco. This one is special for me. 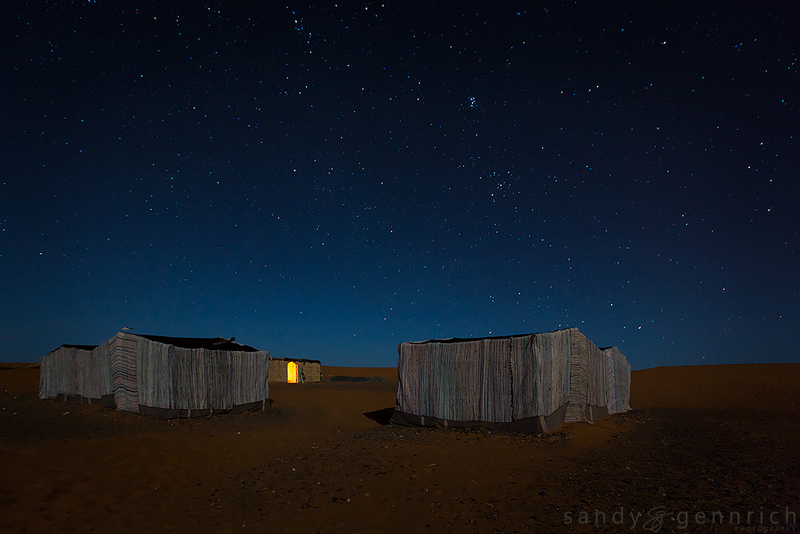 Sure, it’s a nice picture of a small Berber Camp in the Sahara Desert. Right after taking this picture, my sweetie proposed to me. It’s a pretty awesome place for a proposal, and of course, I said yes. I’m lucky to share my life with someone who not only tolerates my passion for photography, but who has the passion, too. It makes planning trips really easy, and a heck of a lot of fun. Here’s to many more years of spectacular sunrises and sunsets, to rain and fog, to monsoon season with crazy clouds, and all the adventures we have yet to experience. Great year end round up! I love all the photos and the stories you tell to go with them.